NordVPN is one of the best VPNs we’ve tested, and it has some fantastic value deals if you’re willing to commit to a year or more of service. NordVPN is a well-known VPN service, designed to give you better privacy and security while you’re online. VPNs work by setting up a private, encrypted data link between you and a remote server in another location – or even another country. They’re a smart way of protecting your online privacy and security by masking your true IP address. They can also help you if you want to access sites or services that are normally blocked by your ISP or restricted to that country, or if you want to access US video streaming services while you’re travelling abroad. NordVPN isn’t the only VPN to focus on security, privacy and online anonymity, but it goes a little further than some. If you’re surfing the web on a public WiFi network, you can rely on military-grade 256-bit AES encryption. This would protect you if you were banking online while in a coffee shop, for example, and wanted to guard against your data being intercepted over public WiFi. It also has built-in cyber-security features to further safeguard your data, such as using two VPN links at once, or using the privacy-focused TOR network for extra-strength digital privacy. 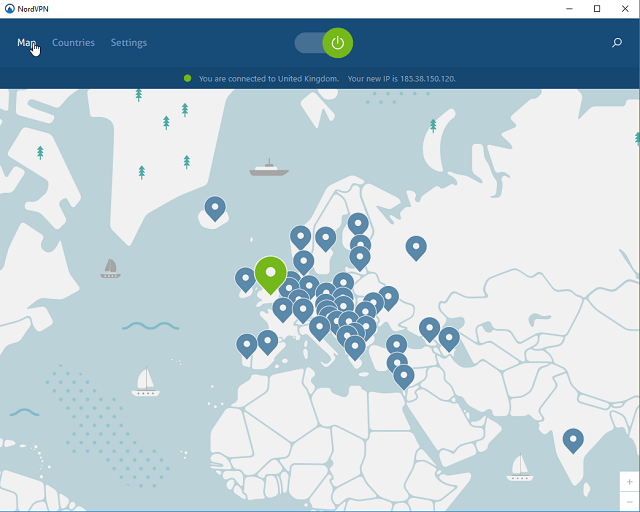 NordVPN runs over 3600 servers in 62 countries around the world, giving you plenty of freedom to pick a location to connect to the web via. You can connect using up to six devices simultaneously using a single NordVPN account. See how NordVPN compares to one of its main rivals, Express VPN, or check out another top NordVPN competitor, PureVPN. There’s plenty to recommend with NordVPN, as it’s one of the most feature-packed and powerful VPNs you can choose. 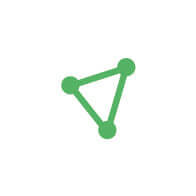 NordVPN gives you lots of flexibility over which server you wish to connect to. You can select servers that are best for specific uses, or servers that give you higher levels of anonymity, based on Nord’s recommendations. Nord’s “killswitch” is particularly clever, giving an extra privacy safety net if the VPN connection ever drops out. It lets you choose either a “global killswitch”, that stops all connections should the VPN link drop, or one that only immediately masks specific apps only. Either one ensures that a dropped link won’t suddenly reveal your real IP address and location, and Nord gives you flexibility about how this works. NordVPN is also one of the fastest VPNs around. While connection speeds inevitably drop by a few Mbits/sec when connecting even to a relatively local server, the difference is far less pronounced that what we tested with most other VPNs. Even at a distance with, say, a transatlantic server link, you can expect around 50% of your normal connection speed. That may not sound ideal, but it’s better than most rival VPNs for transatlantic speeds. The PC app now bundles in features for additional Internet security, including ad-blocking and measures to block malware and phishing sites. Finally, NordVPN takes a more permissive attitude towards Peer-to-Peer file-sharing applications than some VPNs, though it only allows them across specific servers. There’s not a huge amount to criticise with Nord VPN, though we did uncover a flaw or two during the course of our hands-on testing. Some of the more advanced features assume a level of technical knowledge, so it helps if you already understand why a “Double VPN” or an “Onion over VPN” feature might be useful. Otherwise, you may find yourself looking at these options in bewilderment. Fortunately, there are plenty of help and support options to guide you through such times of mystery. You can contact NordVPN support via email or live chat (though not phone), and there are plenty of help instructions available on NordVPN’s website. We also found that NordVPN isn’t bulletproof when it comes to accessing US services while abroad. Netflix, for instance, spotted we were using a proxy or unblocker service and refused to play requested TV shows. Fear not, there are still ways to access Netflix over a VPN – check our recommendations of the best VPNs for Netflix. For a powerful, premium service, Nord VPN is actually pretty cheap. The monthly cost of $11.95 isn’t such a bargain, but move to the annual plans and you can pay just $69 for one year, or $79 for two years. As VPN deals go, the two-year deal in particular is a steal for such a good product. It’s easy to sign-up to the NordVPN service. Click the highly visible red buttons on the website, and you can pick from a choice of monthly, annual or two-year plans – the latter is the best value by far. Enter your email address and select a payment method. The service then sends you a confirmation link to complete the process and create a password, with instructions on downloading the VPN app for your Mac or PC. You can download the matching mobile apps from the iOS App Store or the Google Play Store. You can pick a VPN location by clicking on one of the pins on the main map or by choosing from the Countries list. 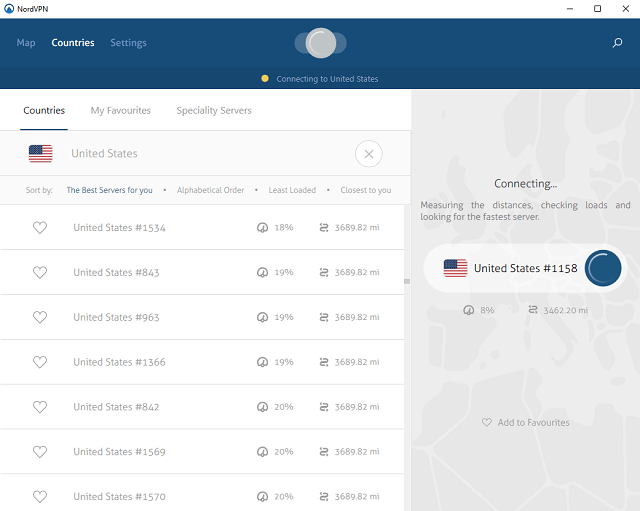 Nord VPN recommends the fastest locations (typically these will be local to you), or you can click another button to see the different servers, their distance from you and some indication on potential speeds. The desktop app gives a huge number of options – while this is great for pros, we feel it’s potentially overwhelming for first-time users. There’s lots of info, which is great for more technical users, but the interface might intimidate some. Luckily, there’s excellent built-in help plus useful guides and walkthroughs to be found on the NordVPN website. 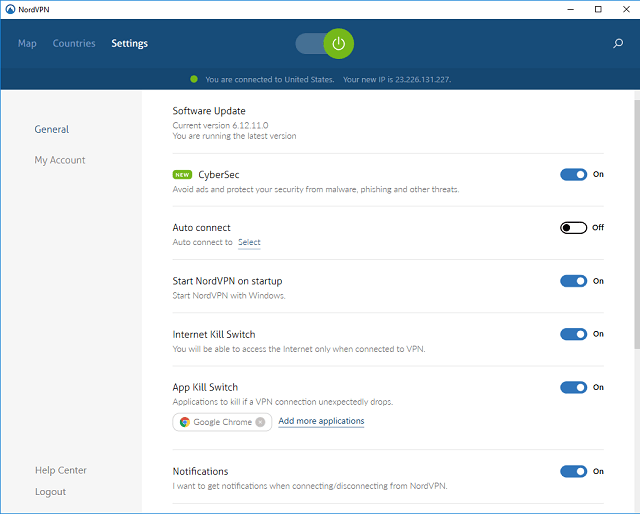 While not the most intuitive VPN for first-timers, NordVPN is a great choice for more experienced or expert users. It’s fast, effective and crammed with useful features, and does a great job of safeguarding your privacy. Whatever your line-up of devices, NordVPN is one of the best VPN services around.